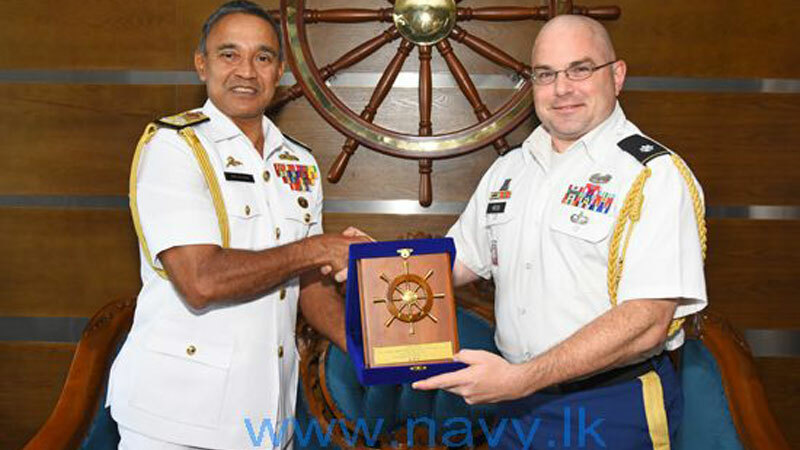 Lieutenant Colonel Douglas C. Hess, the Defence Attaché of the US Embassy in Sri Lanka called on Commander of the Navy, Vice Admiral Piyal De Silva at the Navy Headquarters in Colombo. They held cordial discussions on matters of mutual interests and bilateral importance. Mementos were also exchanged between them as a token of goodwill and appreciation.